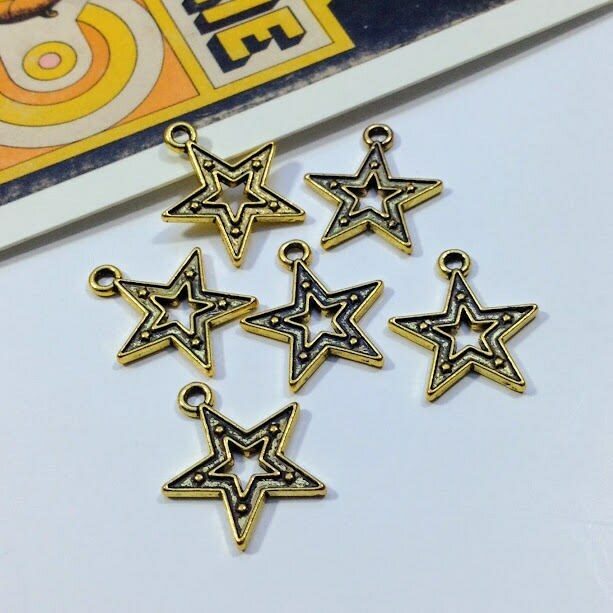 A bulk lot of 25 gold tone metal star charms. 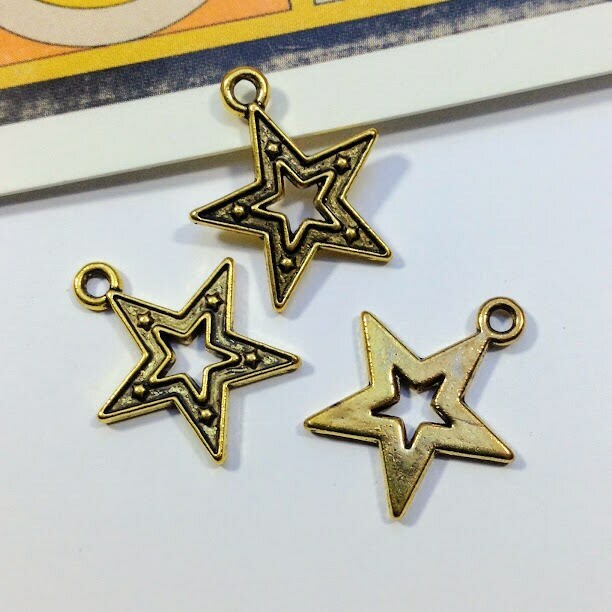 These celestial trinkets with an antiqued effect finish are a good size for using on necklaces, bracelets and earrings. 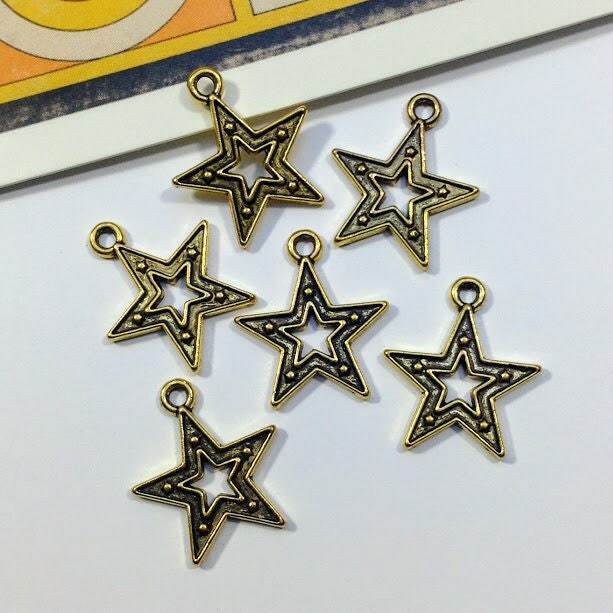 Material: Alloy Metal which is lead free, nickel free and cadmium free.